Our Platform for Change | Community Alliance S.A. 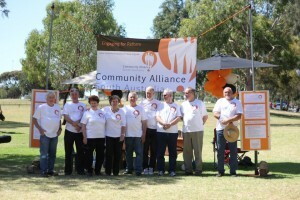 The Platform for Change was adopted by the membership of the Community Alliance SA in August 2012, and sets out its aspirations for reform of planning and development processes in South Australia. Many South Australians have been excluded from real participation in major planning decisions affecting their lives, and the community and resident organisations belonging to the Alliance have struggled to have their voices heard on local issues. As a peak alliance of those organisations, we will campaign for change to put the people back into planning and development in South Australia. The Platform for Change sets out our ‘road map’ for that process. Community Alliance SA calls on the SA Government to undertake fundamental reforms to the current system of planning and development. The repeal and replacement of the Development Act with a new Planning and Development Act based on sustainable principles that address planning, design, environmental protection, social justice, economic viability, open consultation and active community involvement. The establishment of an open and consultative planning and development process, in which community rights to participate in and be informed about planning and development decisions are paramount, and protected within a new legislative framework. The planning and decision making process for all developments must involve genuine public consultation at every stage and be open, transparent and subject to public scrutiny. All affected communities should be provided with accessible and accurate information, afforded proper representation and given the opportunity to be actively engaged. The creation of a framework for ecological sustainability that applies to all proposed developments and embraces principles of sustainable design, environmental protection, social justice and economic viability. This framework should include the careful consideration of any indigenous, cultural, built and environmental heritage before any development approval occurs, in particular Interim approval. Community Alliance SA is calling for reform based on a genuine partnership between communities, government and the development sector. Our goal is the establishment of a planning and development system that engages all parties in an open, transparent, accountable and sustainable process from the initial design concept through to implementation.